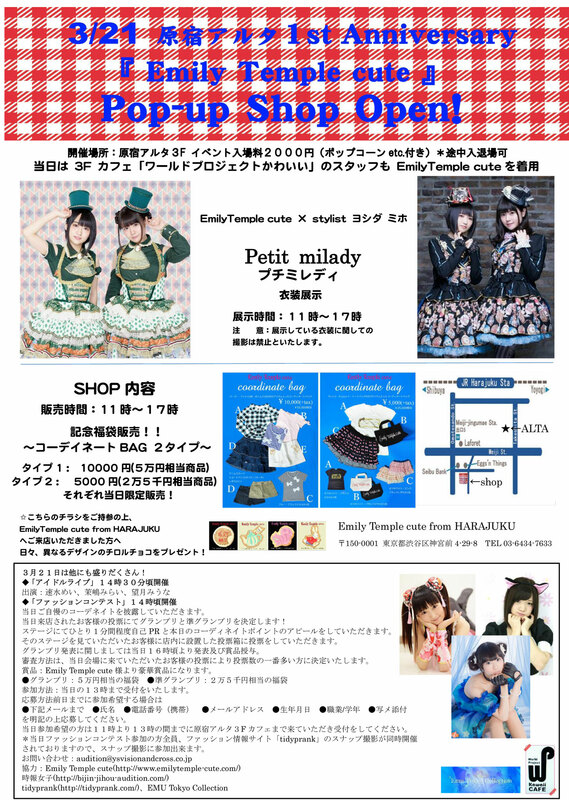 ワイズビジョンアンドクロス - ３月２１日 原宿ALTA 1st Anniversary 「Emily Temple cute」Pop-Up SHOP OPEN!! ３月２１日 原宿ALTA 1st Anniversary 「Emily Temple cute」Pop-Up SHOP OPEN!! Home/イベント/３月２１日 原宿ALTA 1st Anniversary 「Emily Temple cute」Pop-Up SHOP OPEN! !